Career Services and Kean University Alumni Association poses together for a group photo after a successful Alumni-Student Networking Night. Picture Courtesy of Kean University Alumni Association. Kean students and alumni came together for the Alumni-Student Networking Night at North Avenue Academic Building (NAAB) Thursday, March 21. The program was an opportunity for alumni to come back to Kean and share their expertise to students hoping to gain knowledge and potentially expand their professional networks. The event was a collaborative effort between Career Services and the Kean University Alumni Association. After checking into the event, students were able to sit at any table of their choice. Each table was attributed to a certain field of study with at least one Kean alumni who works in that particular field. The program had 22 alumni representing their different careers and specialties. The program began with a welcome from Alissa Di Scala, director of Alumni Engagement and Annual Giving for Kean University Foundation, and Felice Vazquez, special counsel and vice president of planning for the Office of the President. Di Scala and Vazquez thanked all the alumni and students for coming to the event and began the night by encouraging all the students to connect with the alumni around them. Afterward, Di Scala introduced keynote speaker Sara Peña, director of the Center for Hispanic Policy, Research and Development in the state of New Jersey. Peña is a Kean alumni who graduated in 1996 and was a member of Mu Sigma Upsilon. Her speech unveiled her inspiring story of how Kean University helped her find her passion and success. "All those wonderful things that happened to me here at Kean stayed with me forever and changed my life. 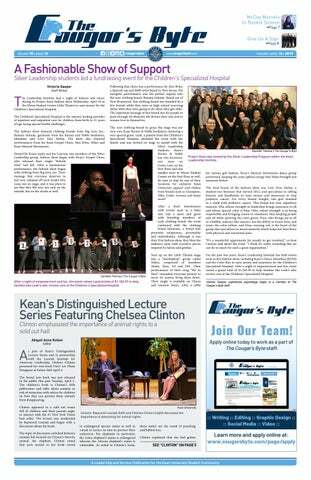 Kean University is the university that really is committed to the community and is committed to everyone," said Peña. Peña's story was a testimony to how Kean University can be a stepping stone toward discovering one's passion. Her journey also revealed the importance of accepting guidance and working hard in the pursuit for one's passion. "My message for all of you today is go for what you're passionate about, follow that passion, look for mentors and remember to just be true to who you are," Peña said. After Peña's speech, speed networking between students and alumni ensued. Speed networking gave students the opportunity to go around the room to any table, with alumni from a particular trade and talk to them. Speed networking was divided into four, 15-minute sessions so that students and alumni would be able to connect with as many people as possible while still maintaining fruitful conversations. The speed networking session was the highlight of the night. "I came to this networking event to really network and connect with people in similar fields, so hopefully I'll get some help finding an internship and just some guidance on my career path overall," said Anissa Champion, a junior computer science major. "I actually met some really great people, people hat are willing to help me out a lot. Now I'll just make sure to stay...connected to them." Alumni shared valuable information to students at the Alumni-Student Networking Night. This particular networking night was aimed toward juniors and seniors, as it is a critical time for these students to begin to build their professional network and look for internships or entry level positions. "The idea that we can get our students excited about careers and we can do it because they're seeing other Kean students who graduated with their degree [is fabulous]. We can talk about pathways, but, when you actually connect with people who came to Kean who are now in successful careers, it makes those steps clear. It's wonderful to build that connection," said Director of Career Services Jessica Goldsmith Barzilay. Alumni also benefit from these networking events because they are able to give back to their Kean community. "Every alum that's sitting in this room has almost the same kind of story as any one of our students currently on campus, and it's just a great opportunity to bring them back. They can have that interaction and know that they are giving back to the university and to the students," said Di Scala. In turn, Kean University continues to help alumni even after they've left campus. 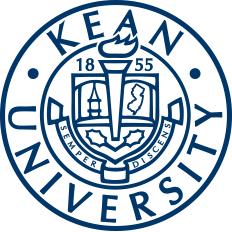 Kean alumni are encouraged to utilize Kean's Career Services which is free of charge for all past and present Kean students. Kean alumni also get many benefits from being part of the Kean University Alumni Association. In this way, the Cougar community continues to lift each other by supporting one another even after they have left campus. More upcoming opportunities like this include the Career and Internship Fair Wednesday, April 10 at Downs Hall. For more information on these events or for professional development, stop by Career Services in the Center for Academic Success (CAS), Room 201, contact career@kean.edu or (908) 737-0320. Along with Career Services, alumni can contact the Kean University Alumni Association through email at alumni@kean.edu for any questions they may have.